All four of us struggled against weaker opposition. I played a poor opening, but thanks to a couple of tactical errors by Dave White I was able overcome my poor position and produced quite a nice win in the end. John's game was always even, he tried to push for an advantage but had to settle for a draw. Ray's game looked abit scrappy and he was probably worse when he accepted Ben's draw offer. Mike went to the end, ( as usual), he never seemed to get into the game and went into the ending a Pawn down but crucially he had a passed pawn on b3 supported by his bishop, I think John would have had to give up his bishop to stop this pawn and then we would have had a very interesting game. Mike: rook and bishop against John's rook and 3 connected kingside pawns. Unfortunately, we didn't get to witness it as they agreed a draw with only a few minutes left on each clock. On yesterday's blog, i mentioned HA2 playing away at Melton next week - this was a mistake - that match takes place on the following week. A busy evening at Syston saw the home club playing three home matches on the same night. Braunstone and Melton were there as well as us. For our match, we were all done by 9.15. The first two results were losses for Michael and Drew. 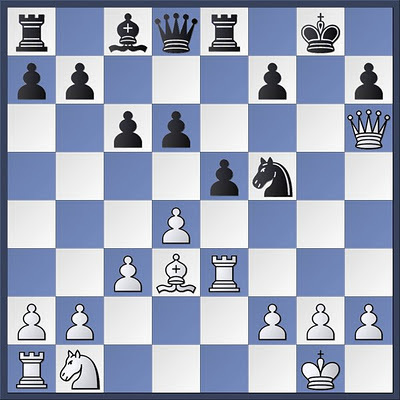 Gordon had been looking comfortable, but then a missing h-pawn allowed a sneeky queen to slip in for a back rank mate. Mo Martin and I agreed our usual draw - we had gotten down to rook and five pawns each and things looked very even - Fritz agreed. HA2 were also in action tonight at home against Wigston 4. HA1 are playing away on Thursday against Wigston 3. Next Tuesday (6th March), HA3 play at home to Oadby; and HA1 play at home against Willowbrook 2. Haka Dave is unable to blog as his PC is on the blink. A massive difference of 174 grading points in this handicap competition led to a 3.5 point head start for HA3. Losses were predictable. However, Drew scored an excellent win in his game (and therefore winning the whole match) against a 79 rated Sean Kennedy. Dave was last to finish and missed Drew's game. Maybe we can post the game moves here on the blog. A weaker than usual HA1 travelled to Willowbrook with a one point handicap head start. The first two results in were wins for Graham and Dave - settling the match in our favour. I had dropped a pawn in the middlegame and was slowly, but surely outplayed in the endgame as i attempted an unsuccesful save. John offered Paul Deacon a draw and this was accepted. With 4 rounds completed, HA1 is at the top of the table alongside Braunstone 1. Next time, HA1 plays away against Braunstone 1 in round 5 of 6. Towards the end of the evening, i received a text from Haka Dave. HA3 had won at Market Harborough in the Minor - a Tremendous result. I will let Dave fill in the details. An excellent evening for our club. Next week - On Tuesday, HA3 play away against Syston 4. Syston would like to play 5 boards. HA2 also play on Tuesday, but are at home against Wigston 4. On Thursday, HA1 play away against Wigston 3. Rob played five boards with the white pieces and beat all before him. Daniel, myself, Gordon, Ray and finally the Grinder all knocked over our kings - all before 9PM too. Afterwards there were some friendlies. Next week there are Cup Matches. Both remaining teams play away on Thursday, so a club night in unlikely on Tuesday. HA1 play away against Willowbrook 1, and HA3 play away against Market Harborough. It wasn't as easy as the result suggests. Dave dropped the exchange but his opponent luckily made a mistake the next move and he won it back, this led to opposite coloured bishops with a bit of play for Dave but he decided he was to many errors and opted for the draw. Raj also struggled to break through and opted for the draw. Mike and I both thought it a good idea to give our opponents a massive time advantage. I looked at Mike's game and he was under tremendous pressure, he had used 40mins and his opponent only 10, they were on move 18. A rook took his h pawn, with the g pawn pinned to the king and I thought it was curtains, I suddenly realized I had 12 moves to make in 5 mins, I snatched a pawn but overlooked a queen check that seemed to give my opponent an even game, I blocked the check with a pawn attacking the queen, he should play Q x g2 and the game is even but he tried to be clever and attacked my queen with his rook. I can just take his queen with my pawn, he plays Q xR but I win 2 pawns and it goes down to an easy won ending. Back to Mike, after my time scramble I expected to see Mike lost or Losing, I look over to see him 2 pawns up with an overwhelming position and his opponent resigning. You'll have to ask Mike what happened. Graham's game against Chris Tipper looked very dull and boring (Chris's words) but was last to finish and went down to 2 bishops and 4 pawns against Bishop, Night and 4 pawns, all on same side of board. In typical Graham fashion he did try something and took H pawn on h7 and let Chris block his bishop in with g6 and he tried to get pawn roll going with the extra pawn, it made for an interesting end to the game but wasn't quite enough and the draw was eventually agreed with just minutes left on both clocks. We're not firing on all cylinders at the moment, maybe a bit of complacency slipping in, but luckily the four teams below us keep beating each other and although we lost last week to Braunstone we are now 4 points clear and level on games played. Two draws on the top two boards were followed by a loss from the Grinder. This left things up to Raymondov. Ray had dropped a rook in the middlegame and things had been looking grim. As so often happens in Ray's games, however, he was able to pull a win out of the bag. A check with a pawn decoyed his opponent's king away from the defence of his rook, the rook dropped, and with a resumption of material parity, Ray's pieces were suddenly more active. Sliding his rook along the eighth rank closed a mating net around black's king. A very nice finish. We had a few friendlies too. On Tuesday 14th, we all say goodbye to Rob Ensor. Rob joined us around three Atkins ago and is now moving to Nottingham with his fiancee. Rob will be giving a simultaneous display against everyone who shows up on Tuesday night. The dining room will be in use, so we will be in the skittle alley. Bring a warm coat. We won a match! Mike beat John Daniel, Rob destroyed Barrie, Ray played well but lost to Charles in the end. I was winning easily against George, but got greedy and had to bail out with a perpetual. So 2.5 - 1.5 in the end. If you have not already done so, check out the Winning Move problem in the previous blog before reading this. The solution is at the end of this blog. No comment!! bad night all round except for Pete. Haka Dave was right to chicken out of playing board 1. This was a strong Syston 3 team. I was lucky to get out with a draw. Michael was last to finish. We continue to improve. HA2 play at home against Market Harborough on Tuesday 9th. The Syston 4 Vs HA3 match has been postponed to Tuesday 28th February - so let's support HA2 and have a club night. HA1 play away against Ashby 2 on Thursday 9th February.